A wallet with real style! 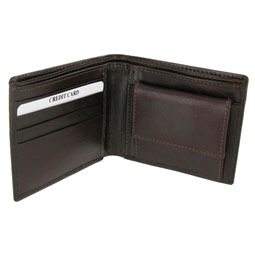 As wallets go, you can't get any more stylish than genuine leather. 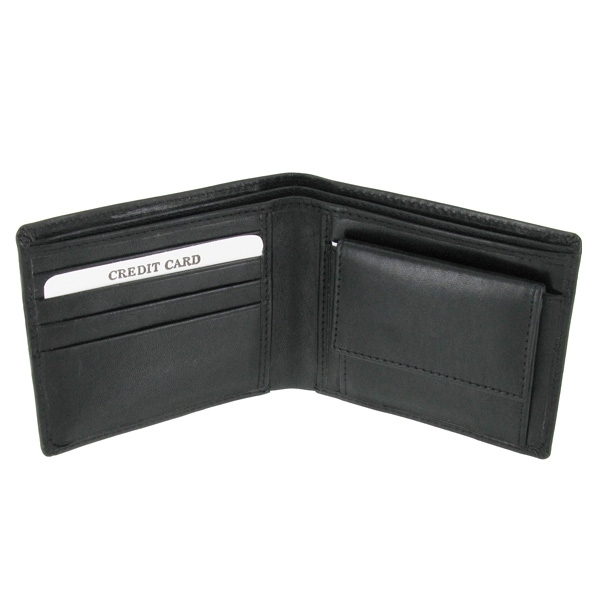 That's what makes this black leather wallet such a fantastic gift idea - it's super-swanky, and it has room for all the cards and cash that you're able to carry. Oh, and it comes in a beautiful black gift box, making it an even better choice of present for your friend's birthday. This year, give them the gift of superior style! Slots for bank cards, ID, etc. Shopping for a super-stylish special someone this Christmas? Or maybe you need a birthday present for that impeccably-dressed friend of yours? Either way, we're pretty sure that this Black Leather Wallet will fit the bill. It comes in a black gift box, and you even get a neat little bag to keep it in - this helps to protect that real leather finish! It really is one of the swankiest gifts you could give!